In 1998, at the height of their teenage box office powers, Dimension Films resurrected an eight year old script, sent it for a late 90's update and hired some of the freshest talent of the day to make it into a cult classic in training. That film was The Faculty, and seeing as it's as old as some of its protagonists were during the film's initial release, it's a great time to see what the folks involved have been doing 17 years on. We now present to you the graduating class of Robert Rodriguez's sci-fi comedy / thriller that showed what happened if the high school experience would be like, if complicated by an alien invasion. 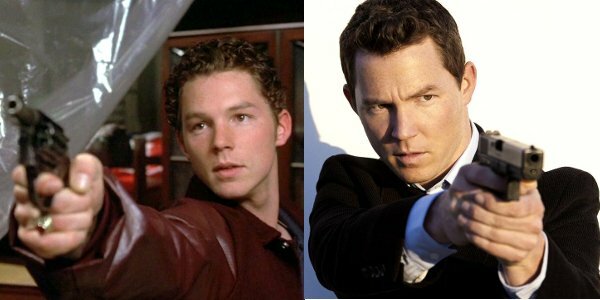 With his role of Casey Connor, Wood continued down the path he'd started into more grown up cinema only a year earlier with his role in Deep Impact. Wood's experiences during this film's production not only set him up to re-team with director Robert Rodriguez in Sin City, it also prepared him for his iconic role in The Lord Of The Rings franchise as Bilbo Baggins. 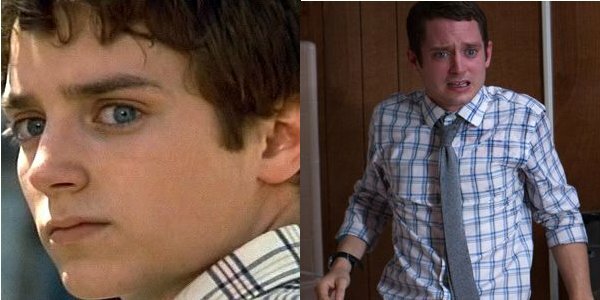 Recently, Wood's been experimenting with TV in shows like Wilfred and Over The Garden Wall, as well as with his role in this year's horror-comedy Cooties. Making her feature film debut in The Faculty was Jordana Brewster, whose only previous credit was in an episode of All My Children. Playing the mean girl hybrid of cheerleader and editor-in-chief that is Delilah Profitt, Brewster honed her attitude, as well as her acting skills, enough that she would land the role of a lifetime only three short years later. While she worked on TV and other film projects after the success that was 2001's The Fast And The Furious, Brewster returned to the series in 2009's Fast And Furious - which ensured she'd become a vital cast member all the way through to the current film, 2015's Furious 7, and beyond. 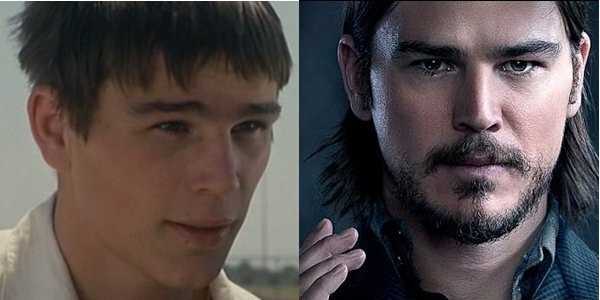 After making his big debut in another Dimension Films hit, Halloween: H20, Josh Hartnett was the "it kid" of The Faculty cast. It definitely showed in his performance as Zeke Tyler - a guy who has more brains than you’d expect, but chooses to use them to deal drugs rather than get high marks. Hartnett’s star never really took off like folks thought it would, as his career eschewed the predicted trajectory of being a steady teen heartthrob. Instead put him on the path of a character actor with roles in films like Pearl Harbor, Black Hawk Down, and Lucky Number Slevin. He is currently a star of the hit Showtime original, Penny Dreadful, and even reunited with Robert Rodriguez back in 2005 to play a mysterious hitman in Sin City. 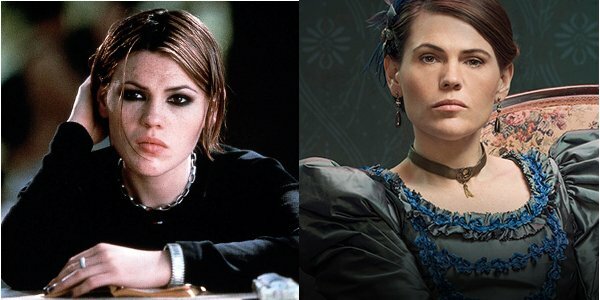 Before her turn as The Faculty’s resident anti-social troublemaker, Stokley (Stokes) Mitchell, Clea DuVall actually had a pretty memorable turn as an invisible girl who terrorized Sunnydale High on Buffy The Vampire Slayer. After her battle with alien teachers and classmates, DuVall returned to TV in shows such as Heroes and American Horror Story: Asylum, while also logging roles in films like She’s All That, The Grudge, and most recently Argo. Her most recent TV role is in Lifetime’s The Lizzie Borden Chronicles, in which she plays Emma, the sister to Christina Ricci’s Lizzie. You can thank Usher Raymond’s (at the time) rising star in the world of music, as well as his acting debut on Moesha, for landing him in the same galaxy as his co-stars in The Faculty. Both of those were apparently enough to get him cast as Gabe Santora, the part football captain / part alien occupant / all bully role that Robert Rodriguez chose for him. 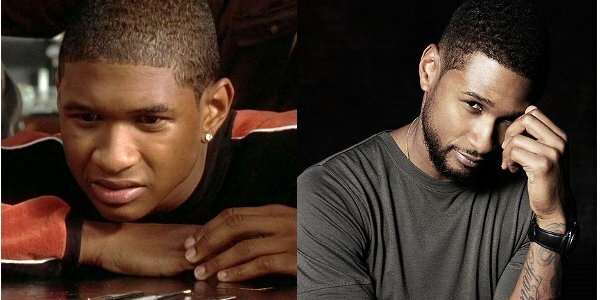 After raising some high school hell, Usher continued to act in TV shows and had a pretty good run of films in the next couple of years - with She’s All That and Light It Up keeping him in the game. He still mixes music and acting, with his next film role coming in the 2016 boxing biopic Hands Of Stone. 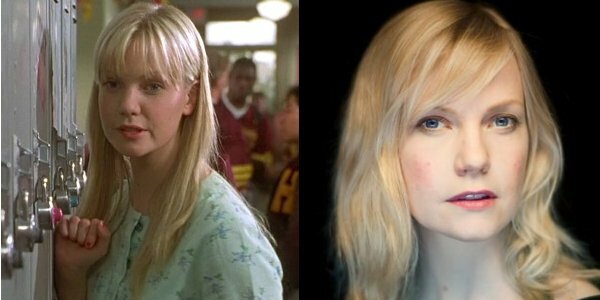 After a childhood in TV, which included some voicework on shows like My Little Pony Tales, Laura Harris grew into a film career that would include Suicide Kings and - of course - The Faculty. Playing the seemingly innocent Marybeth Louise Hutchinson, Harris convinced her classmates, and the audiences watching on, that she wasn’t actually the queen behind the alien invasion of Herrington High School. After being defeated, Harris would later parlay her ability to quickly turn between heel and hero on both Dead Like Me and 24, as well as playing roles in A Mighty Wind and Severance. She has most recently been featured in the web series, Whole Day Down. On the complete opposite side of the coin as Zeke, Sean Hatosy’s Stan Rosado was the jock who wanted to become more of a braniac. Thankfully for his sake, his temporary stint as an alien host didn’t prevent him from swapping places with his diametrically opposed friend. Hatosy’s role in The Faculty landed right after he played a role in Kevin Costner’s infamous bomb The Postman. Post Faculty, the actor went on to star in numerous film projects, but ultimately made a bigger name for himself with his steady television work. His filmography includes The Cooler and Alpha Dog, with his more recent resume seeing him play steady gigs on TV’s Southland, Bosch, and a three episode arc on the first season of Fear The Walking Dead. 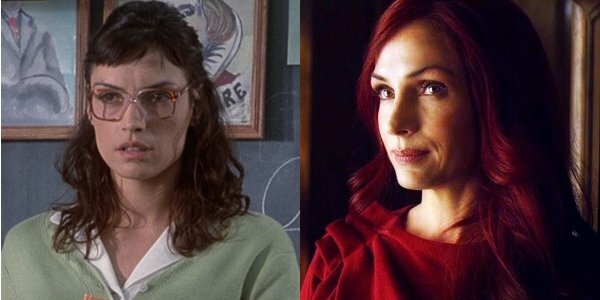 1998 was a busy year for Famke Janssen, and The Faculty was just the icing on the top of a very productive period that with her role in the sci-fi action / comedy, Deep Rising. The supposed object of affection for Josh Hartnett’s Zeke, Janssen’s role of Miss Burke was one that required uptight and law-abiding before the invasion, as well as totally seductive, once the alien parasite took control of her. Her most recognizable role would come only two years later, as she was cast in Bryan Singer’s X-Men as Jean Grey, and has played the role throughout the run of the series - with X-Men: Days Of Future Past being her most recent outing. Much like his friend Quentin Tarantino, Robert Rodriguez loves casting badass character actors of blockbusters past. 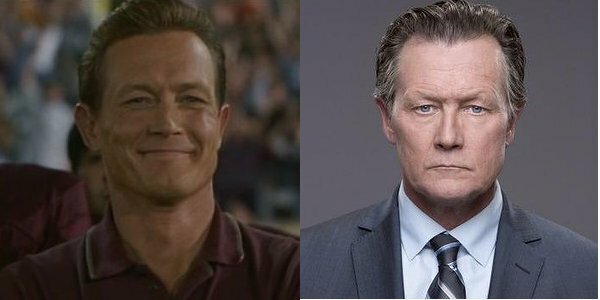 So who better to play the role of the gruff, and soon to be alien infested, Coach Willis, than the T-1000 himself - Robert Patrick? With the demeanor of a drill instructor, and the presence of the angel of Death itself, Patrick’s performance guaranteed him a spot as an automatic authority figure for decades to come. Sure enough, Robert Patrick has used his natural given gifts on TV and in movies, with The X-Files, Walk The Line, and most recently CBS’s Scorpion all taking advantage of his talents. 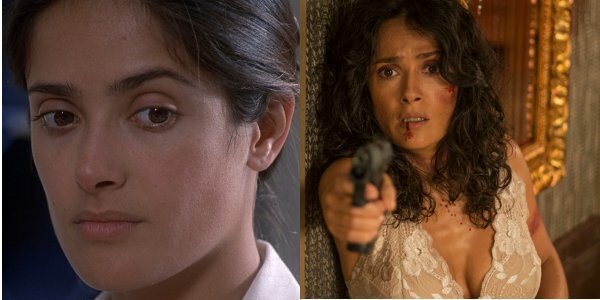 If friendship was a profession, then Salma Hayek and Robert Rodriguez must have excellent resumes. There’s no other way to explain how by the time the two collaborators worked on The Faculty, they’d already worked together four times - starting in 1994 with the TV movie Roadracers. As Nurse Rosa Harper, the resident healer of Herrington High, it didn’t take too long for Hayek to become one of the bad guys, after an unfortunate trip to the teacher’s lounge. Post Faculty, Hayek would go on to work with Rodriguez again twice more, as well as becoming a fixture in the comedy world with parts in 30 Rock, the Grown Ups series , and the upcoming animated film Sausage Party. 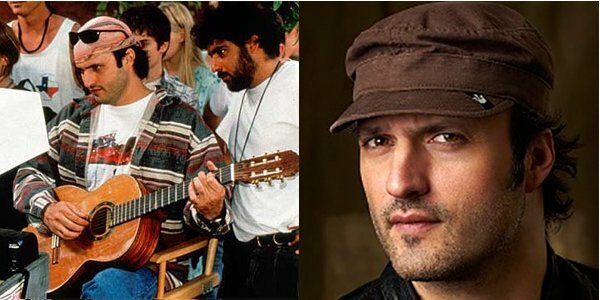 Still fresh off of the indie success he was basking in from films like Desperado and From Dusk ‘Till Dawn, Robert Rodriguez was only tapped to direct The Faculty after its script doctor, Scream’s Kevin Williamson, bowed out of the duties to direct Teaching Mrs. Tingle. This was probably a good thing, as the film’s sensibilities were closer to the Miramax / Dimension mainstay, who would go on to deliver films like the Sin City, Grindhouse, and Machete. While his track record of stellar adult thrills and pulp have been mixed in with not-so-successful kids flicks like The Adventures Of Shark-Boy And Lava Girl, he still continues to deliver interesting projects into the hands of studios - recently signing on to take over for James Cameron’s former directorial project Alita: Battle Angel, as well as completing a secret film starring John Malkovich that will be released in the year 2115. 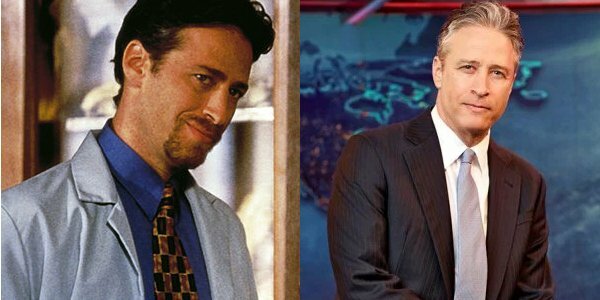 Back when Jon Stewart was still a fresh stand-up comedian making his rounds through TV and film roles, he played the role of The Faculty’s Professor Furlong - the science teacher that helped identify the alien invaders, and quickly became one of their ranks. While we still wonder if he’s dead or not, as the credits seem to suggest that he’s merely banged up, we do know that Stewart would continue to act in various films (among them Big Daddy and Death To Smoochy,) and play himself in quite a few projects in the years after his tenure as a high school teacher. After leaving his 16 year post as the host of The Daily Show, and writing/directing a feature film of his own with last year’s Rosewater, Stewart is now running a farm sanctuary with his wife, Tracey, and their children, in New Jersey.